Can you remove a missed repayment from your Credit report? 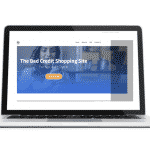 Home Home Page » our blog » Pay Monthly Catalogue Guide » I’ve missed a Catalogue payment, Can I remove the mark on my Credit Report? I’ve missed a Catalogue payment, Can I remove the mark on my Credit Report? A frequent email we receive from frantic customers is “I've missed my Catalogue repayment” Will it be marked on my Credit Report? Most Catalogue companies will report back information to the Credit reference agencies, this will usually include your Credit Limit, your account balance and how much you paid back last month. If you do miss a repayment you can expect to be charged up to £12 for mistake. Many customers are more worried about the affect a missed payment will have on their credit report. First of all, to avoid this issue ever happening to you, set up a direct debit, just for the minimum repayment at least. This way, you will 100% know that your minimum repayment is collected on time each month. If you have missed your repayment you can expect the Catalogue company to do a few things. Usually they will email you and inform you that you are late or your payment is due today. Some catalogue companies may even text you to remind you that they have not received the minimum repayment. If you don't catch up within the next day or two, you may even get telephone calls reminding you that your payment is late. All catalogue companies will apply a charge to customers, you can of course call your Catalogue company and plead with them to remove this charge. It's not guaranteed, but a long standing customer with no previous missed repayments can sometimes be given the benefit of the doubt and have the charge removed. Now on for that dreaded mark that can appear from any Credit Organisation should you be late with your repayments. In our own experience, this one is very tricky. We have read on countless forums that customers have tried to request late payment markers to be removed. Very few have success. In fact, the law states that all Credit Companies must provide factual information to Credit Reference agencies, therefore they will hide behind this policy. You can of course continue to enter into discussion with your Catalogue company. The most important thing is to remain calm, asking nicely rather than threatening them is going to give you a better chance. It's going to be down to the Catalogue company to decide in helping you or not. Some Catalogue companies will only place a missed payment marker on customers who actually fail to pay altogether rather than pay a day or so late. Remember, It's not the end of the world, One missed repayment is not going to have an awful affect on your credit rating and within a few months of paying on time the affects will wear off.